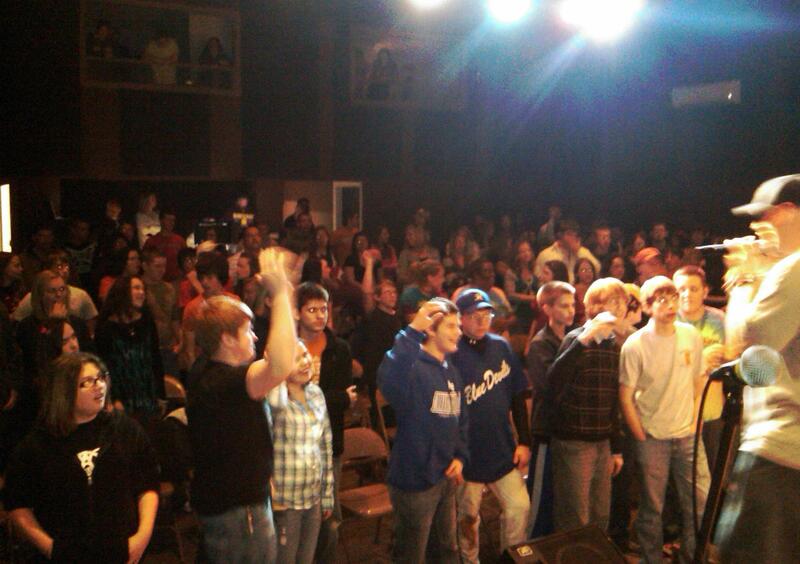 This past weekend we hosted around 200 students in our Upper Room at South Harriman Baptist Church. It was an energizing night, as Travis Harmon lead off with a sweet mini-concert. If you or someone you know enjoy some ‘urban vibe’ or hip hop, you can get some of Travis’ music HERE. The Zane Ellis Band led us in worship. I was privileged to preach the Gospel. It was a powerful evening. God Moved. Our volunteers are amazing. Thank You so Much. Hopefully I’ll have some video to upload soon.